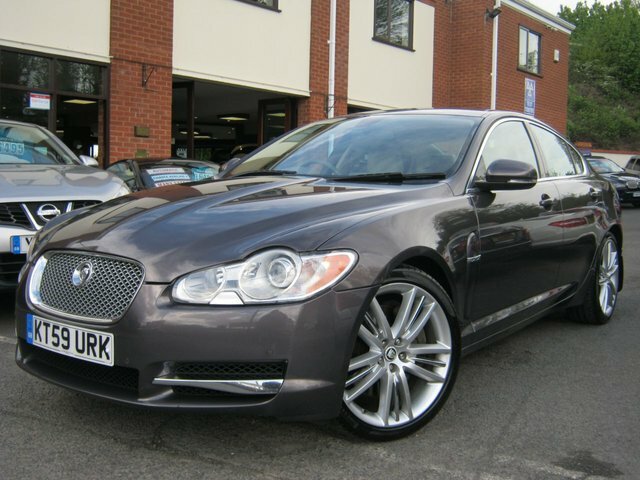 This totally immaculately presented 2009 59-Reg Jaguar 3.0TD S Portfolio Auto must be seen and driven! with only one previous owner and presented in the most amazing metallic grey with full beige leather trim, it comes supplied with FSH and loads and loads of extras!!! these include full heated and cooled electric memory seats,Xenon headlamps,front and rear parking sensors,full factory sat nav and bluetooth phone prep,cruise control,climate control,Bowers & Wilkins stereo,alcantara roof lining,20" multi spoke alloy wheels with chrome inserts,auto lights and wipers and cd player,one of the best value for money cars on the marlet anmd has to be the example! Jaguar is a name synonymous with style, performance and refinement. Here at BJH Motors and Sons you'll find an excellent selection of used Jaguar cars for sale in Worcester, all of which come fully inspected to ensure complete peace of mind. Whether you're looking for a pre-owned executive saloon such as the Jaguar XF, an SUV with the style of the Jaguar F-PACE or a pure sports car like a Jaguar F-TYPE, we'll be able to find the right used Jaguar to meet your requirements. Get in contact with a member of the team today for more information and to book a test drive in the model of your choice.